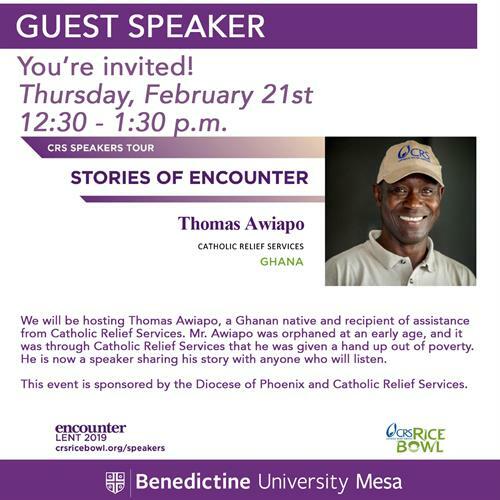 We will be hosting Thomas Awiapo, a Ghanan native and recipient of assistance from Catholic Relief Services. Mr. Awiapo was orphaned at an early age, and it was through Catholic Relief Services that he was given a hand up out of poverty. He is now a speaker sharing his story with anyone who will listen.